Business interruption insurance helps protect you against lost earnings from events out of your control. 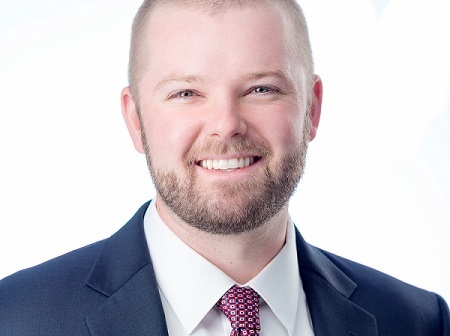 If you can’t operate your business after a loss that’s covered in the policy (or if a covered loss causes a reduction in your earnings) your business interruption policy can kick in to make you whole. So, if you have merchandise destroyed or you have to relocate due to a fire or flood, business interruption policy would defray any lost income. Business interruption insurance can also cover extra expenses required to keep your business running. For example, if you need to relocate after a fire, a policy would cover some of the extra utility and moving costs. It wouldn’t cover all your utilities – just the additional amount at the new location. That said, business interruption insurance doesn’t help you out with things within your control. Losing a top employee or salesperson, having a bad season, or making poor strategic decisions aren’t covered. Obviously, different businesses will have different coverage needs. Auto mechanics need different coverage terms than engineering firms. How likely is my business to experience a loss? If you live on the gulf coast or in the southeast, hurricane frequency should be a consideration. If you live in California, consider the likelihood an earthquake could disrupt your business. If you rent your workspace, how well is the building protected? Are the sprinkler systems in working order? When were they last updated? Is comparable workspace readily available in your area? How long would it take to find an adequate location? How much would it cost? What about a widespread disaster? If you have to compete for workspace with other businesses, it could take longer to back up and running. There are two main ways business interruption policies are written. The first is to insure your profit streams unforeseen risks. Underwriters calculate the value of your future earnings given existing throughput and margins, and then deduct any non-continuing expenses. When they pay claims, the insurer then calculates the difference between your expected profit had no interruption occurred, and your actual profit. This is most applicable to manufacturing & production industries, since it allows profit streams to continue flowing through your firm. Some policies will even compensate key employees who might otherwise be drawn to competitors during a shutdown. The second type of policy revolves around extra expenses. These are more applicable to commercial enterprises like banks, health care facilities, and supermarkets that don’t use their facilities to create physical products. Rather than insure profit streams, this type of coverage pays claims if a covered peril causes operating expenses to spike. For example, it could be expensive if a fire or flood damaged the building of an engineering firm. The business would need to find a new place to work, which could come at a higher rent. Utilities and other overhead could spike, and with overtime and extra travel expenses the damage could be crippling. Whereas profits remain uninsured, cost structure is insured. How is Business Interruption Insurance Purchased? Usually business interruption insurance is included a standard business owner’s policy (BOP). It is sometimes included in commercial property insurance and/or commercial package policies too, though. Unfortunately, here in the U.S. it’s not sold as a stand alone policy. Business owner’s policies can be pretty flexible though, and vary by industry. Almost all will include some mix of property and liability coverage, with more and more starting to include coverage for electronic and cyber security losses. If you do need to make a claim because your business is interrupted, your insurer won’t replace your income forever. If they did you’d never need to return to work! Instead, the terms of your policy will dictate the length of time the insurer is obligated to replace lost income. Make sure your policy offers a sufficient restoration period for you to get your business back up and running in the event of a catastrophe. 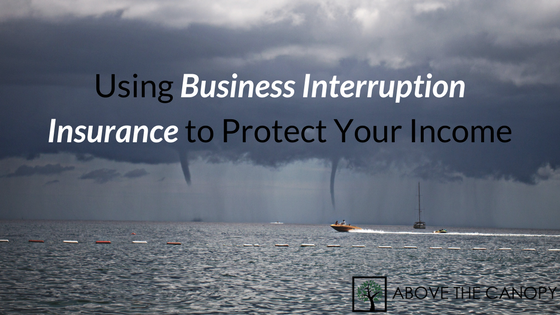 Business interruption can definitely help protect your income, but it won’t cover everything. For example, if you decide to locate your business at the base of an active volcano, your insurer will probably exclude damage from lava flow from the coverage. Most insurers are flexible in this regard though. I’d only suggest that you ensure you’re comfortable with policy exclusions before signing on the dotted line. Unfortunately, damages from electronic security breaches are a growing trend. If profitability suffers as a result of being hacked, some policies will pay out and others won’t. Contingent interruption coverage may also be available, if a cloud based vendor were to be hacked out of commission. Keep in mind that this coverage may is also included separately in some cyber policies. Given the growing need for electronic security, my guess is that more insurers will start to consolidate this type of coverage into comprehensive cyber policies. Product recalls are a real risk if you make, grow, or package a product. General liability policies will cover you if your customers incur bodily injury or property damage, but the real exposure is more widespread. Most product recalls will cost you a minimum of $1,000,000, and it can run into the hundreds of millions for larger companies. Business interruption coverage can be written to cover recall expenses, the cost to rehabilitate your brand, and provide a response to adverse publicity. I’ve always felt bad for businesses whose entrances get blocked when their municipality decides it wants to widen a road or reroute traffic. Government interference coverage insures against profit losses resulting from your business’s inability to reach customers due to government actions. “Government actions” can be interpreted pretty widely, but no, it doesn’t cover legislative actions. Very simply, physical capital can be destroyed. Intellectual capital can be too, but that’s why we have disability insurance. If your business relies heavily on machinery or other physical assets, make sure you have some type of contingency plan in place in case they’re destroyed in a natural disaster. In general, smaller margins = less margin for error. A small jump in overhead, or a small pause in revenue production could have a big impact on profitability. Some areas of the world are prone to more frequent natural disasters than others. You’ve probably considered this already if you operate in one. If you haven’t, picture a hurricane tearing through your work space, or an earthquake rattling your building to its foundation. This should be pretty obvious, but if your business manufactures gunpowder you’ll probably want coverage against the building blowing up. General liability is necessary of course, but covering your business’s operations and/or cost structure is too. As we saw with hurricane Katrina, events out of our control can have devastating effects on our businesses. At the very least, business interruption should be included an any thorough risk management review. At the very best, your personal income will be covered against all catastrophic risks out of your control. Posted in Business Ownership, Entrepreneurship, Financial Planning, Insurance and tagged business interruption insurance, business interruption insurance extensions, definition of business interruption insurance, how much does business interruption insurance cost, insurance business interruption, stand alone business interruption insurance, what is business interruption insurance.